Home » Professional » What’s Happened to Jo-Ann’s Fabrics? Jo-Ann Fabrics is now just “Joann” as a new shake up has looked to technology to expand and innovate on crafts for hobbyists and entrepreneurs alike. The 75-year-old US craft retailer has introduced Joann+ to offer opportunities for businesses, organizations and crafty entrepreneurs with volume pricing, dedicated customer service, flexible payment options, direct shipping and more. This essentially works as a rewards program you can apply for here. Non-profits will also benefit from the program like Project Linus who coordinate kind craftspeople in sending handmade items to children who are seriously ill or in need. “Our coordinators are raving about the great prices and time saved by having orders delivered right to them,” said Patty Gregory, national president of Project Linus. “Joann+ will stretch how we can use our donation money, and enable us to purchase two or three times the amount of supplies. We will be able to make many more blankets for children in need of a hug; this changes everything for us. So why drop “fabrics”? 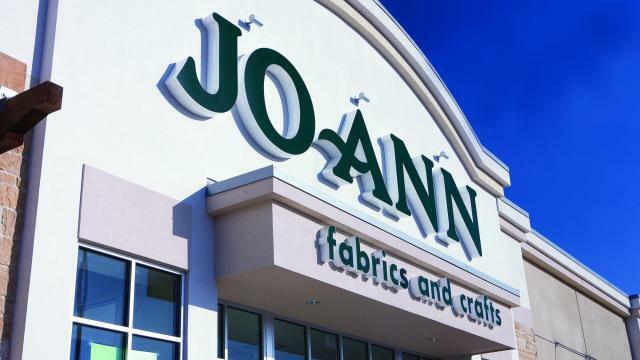 Steve Miller, senior vice president of marketing and ecommerce at Joann Stores, told Adweek that the motive was to focus on the broader array of products available at Joann.